The days are getting shorter and the weather’s getting chillier and the night feeds are getting longer as your baby cosies up and snuggles down. Babies are not the only ones who deserve to be toasty this Winter. Here’s a bunch of brilliant sleepwear choices for MUMS who want to stay warm on the night shift too! These delightful tiger PJs are sure to make every mum feel like a fierce sleep-deprivation-fighting badass, even in the dead of bleary night! They’re the deceptively named Suzie Pyjama Set by Chalmers and you can grab them at The Iconic for $149. If anyone says Winnie The Pooh is just for kids, they’re going to have to answer to me. Not only is Winnie for everyone, waffle weave Winnie is especially good for sleepy, chilly mums! 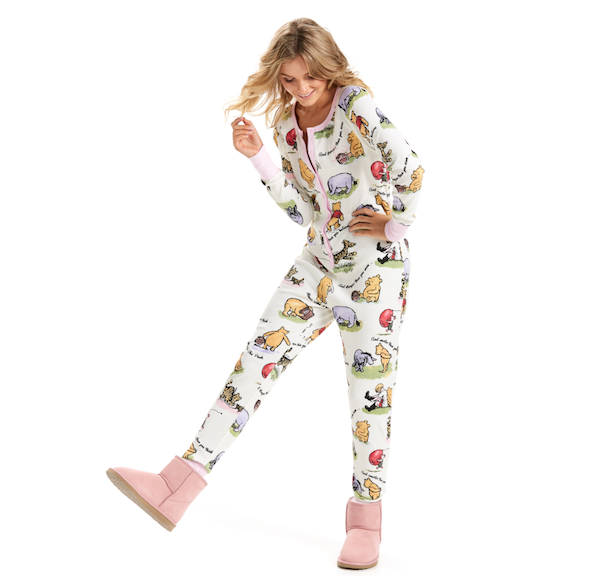 This brilliant Winnie The Pooh Onesie is perfect for those late night feeds and for those late morning feeds and also for late afternoon feeds, too. In fact, it’s good for any old time and you could even wear it down the shops. It’s $109 from Peter Alexander. These birdy pyjamas are not only prettily dotted with feathered friends, they’re flannelette, making them extra cosy too! You’ll feel as snug as a bird in its nest when you wear these, and could provide a bonus ornithology lesson to your fellow breakfast-eating buddies too. Talk about multi-tasking! 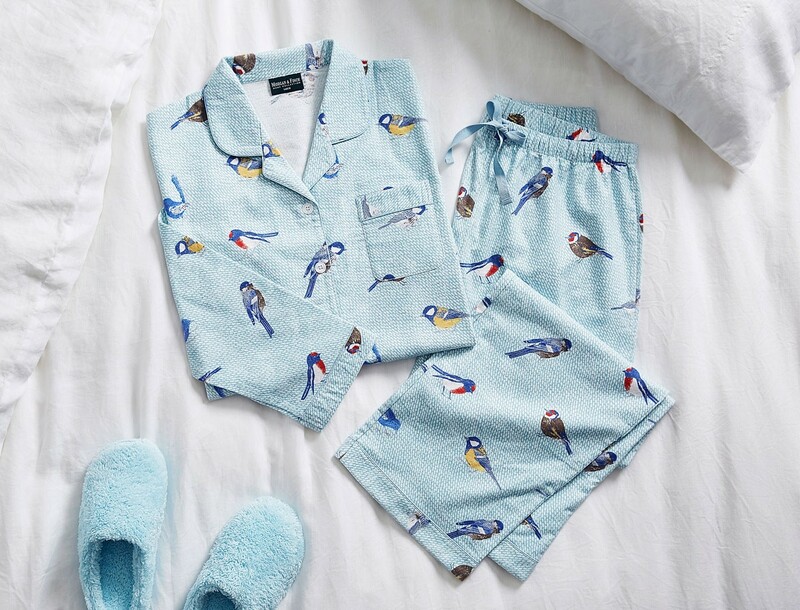 Morgan and Finch Bird PJs are ON SALE at Bed, Bath and Table for $35. Sometimes, matchy-matchy is the only way to go. Even more so when your kiddo-and-mum PJs are cheerily festooned with dinosaurs! These cosy jimmies are by the good folk at Next, who frankly have a LOT of brilliant family fashion and very low prices. 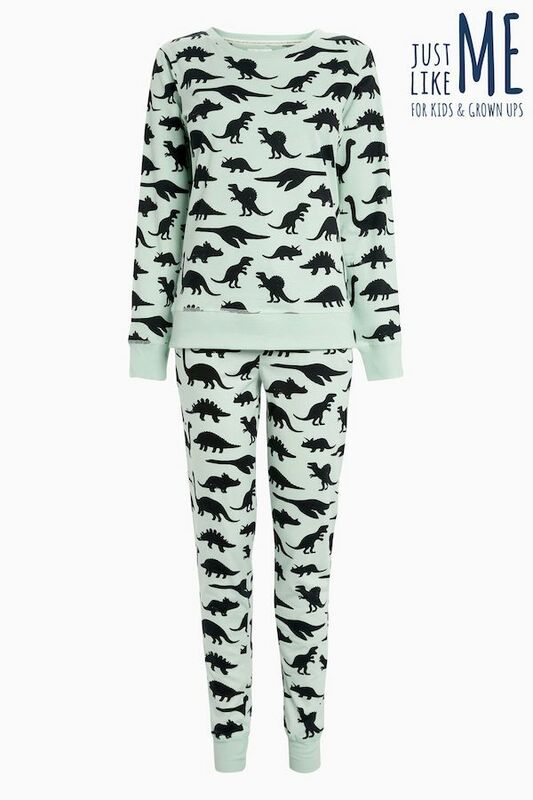 Women’s Dinosaur Pyjamas by Next are $39. Okay. Not everyone goes in for PJs or onesies and we’re all about inclusivity here at Babyology. Perhaps a nightdress is more your speed? Maybe you want to get your nightie on, instead? This nightdress from Zara could be just your cup of tea. And it probably wouldn’t look out of place at the school gate, just sayin’. The Zara Long Nightdress with Gold Trim is $149. 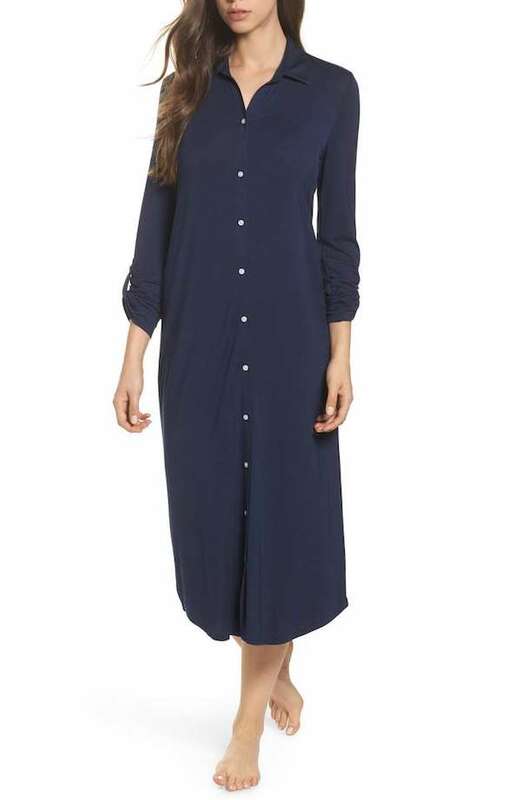 If you like your nighties more pared back and classic, this one from Papinelle might be more your thing? You can grab the matching robe too and you’ll look exactly like a chic New York ballerina when you’re staggering into the nursery to grab your squealing, hungry tot. Sort of. Papinelle Maxi Nightie ($79.95) and Maxi Robe ($89.95). This stretch-jersey Ralph Lauren button-down nightgown will transport you to the preppy Hamptons, in your imagination at least. Possibly you will be actually somewhere in the Australian suburbs trying to settle your wide-eyed baby, wondering if your other half put the bins out before he collapsed into bed, but fake it till you make it, mama. This one’s $102 and we found it an Nordstrom, so factor in international shipping. These pretty pink pjs have … pockets which is just perfect if you’ve got both arms loaded with a sleepy child and you need to stow your phone somewhere that’s NOT on their forehead. They’re from Hickory Home and they’re called the Seychelles PJs (and that’s another place we’d like to be right now!) They’re $99.95. Okay, you might look like a criminal in these PJs, but you could also make an hilarious statement on how those dead-of-night feeds can make one feel a leeeeetle bit trapped at times and there’s no point pretending otherwise. 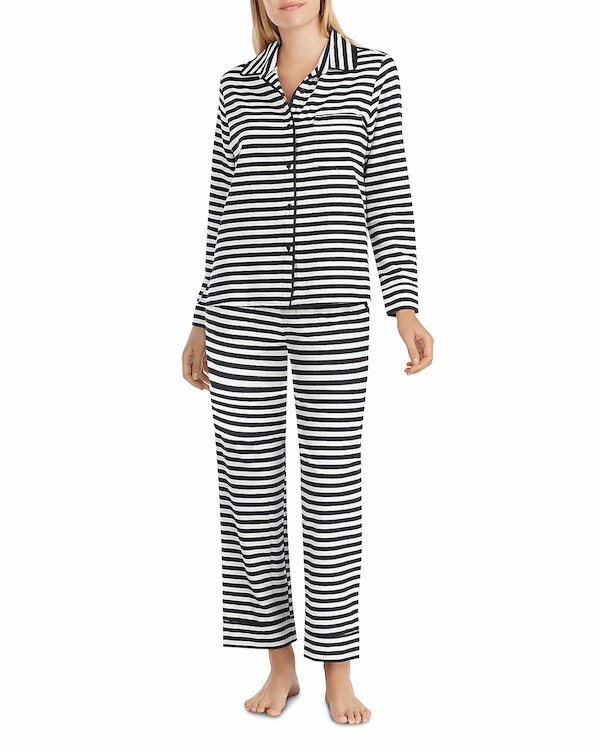 These stripe-y PJs are by Kate Spade and we found them at Bloomingdales. They’re on sale for $93 at the moment. Now you’re just faced with the tricky decisions of which PJs to choose! Godspeed, mamas!